Cinco de Mayo or May 5th is a day to celebrate Mexican heritage and traditions. 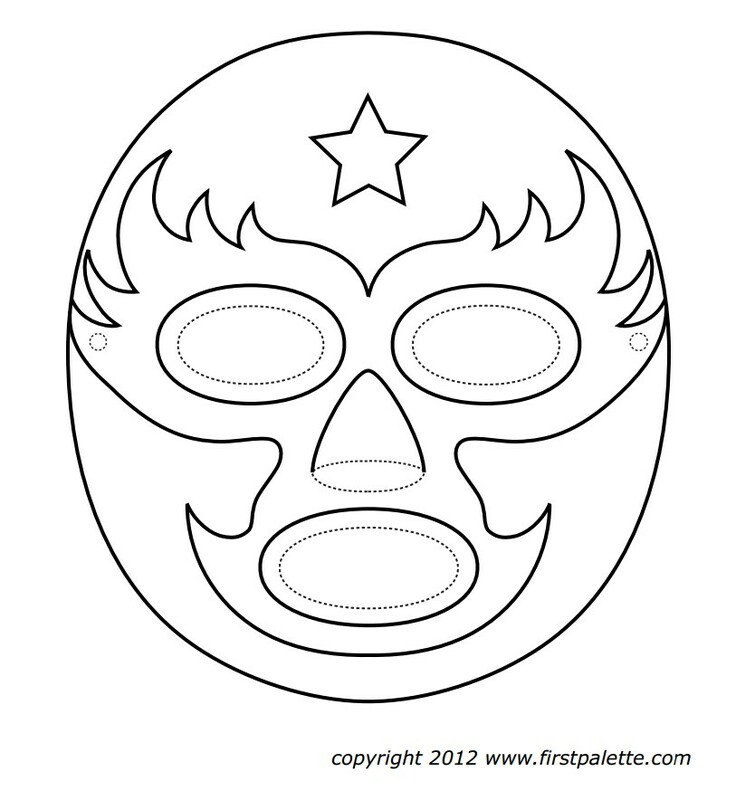 These Mexican Wrestling Masks are a fun craft for kids to get into the spirit of the day. Trivia: Mexican wrestling masks are known as Luchador masks and are worn in a free style type of wrestling popular in Mexico. 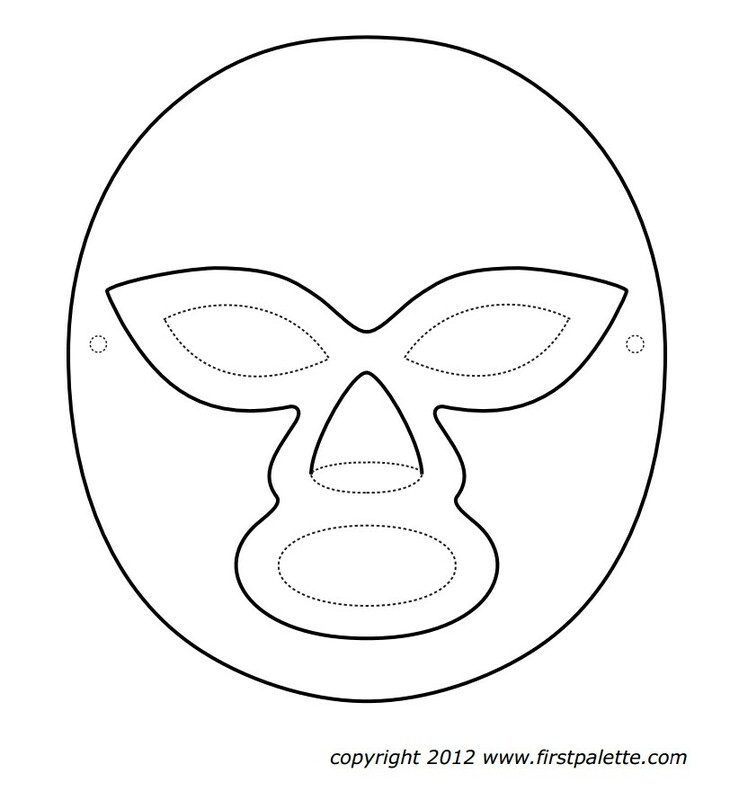 To make our Luchador mask, print a mask pattern or draw your own design. Color the mask using crayons, markers or your favorite coloring material. Leave out the areas bordered by dashed lines (eyes, mouth, the bottom portion of the nose and the pair of small circles near the edges). Cut out the eyes, the bottom part of the nose, and the mouth. Punch holes on the pair of marked circles close to the edges of the mask. Tie the ends of an elastic string around the pair of holes. Try on your mask. It should fit snugly but not too tight. Adjust the length of the string if necessary. Wear the mask with a cape and a pair of tights to complete your luchador outfit. Have fun!